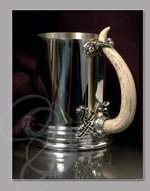 The classic tankard perfect for the medieval and modern events. 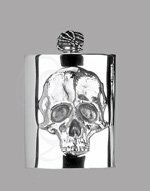 A classic gift for Weddings, Birthdays, Fraternities, Business Events, King, Queen, Dad, or Pirate. These are beautiful tankards. The engraving was perfect. We give these out as an award for a scholarship and they are not cheap feeling at all. 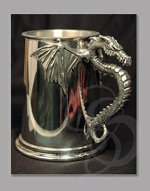 These are exactly what you would want a pewter tankard to feel like, hefty and sturdy. Strongblade has been wonderful to work with.